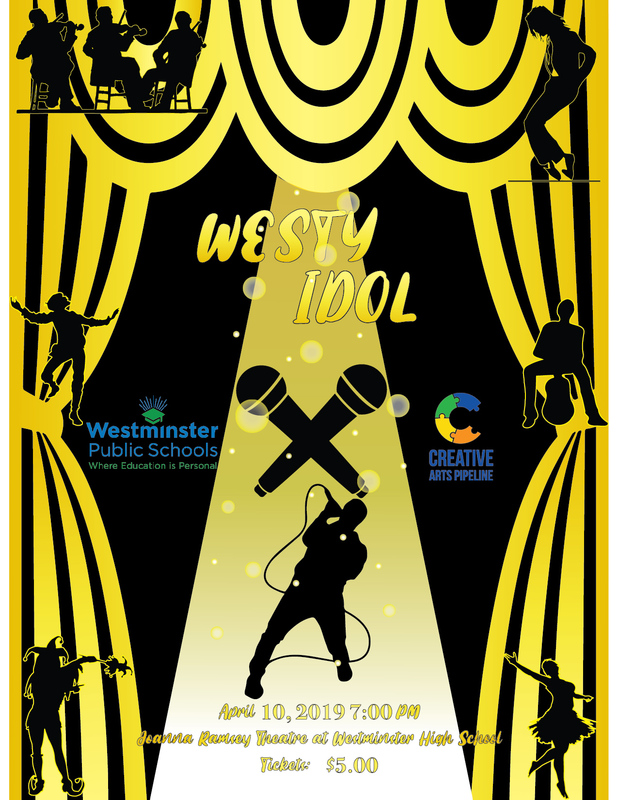 Due to last Wednesday's winter storm, Westminster Public Schools canceled after school activities and rescheduled Westy Idol for Monday, April 29. The Annual Creative Arts Pipeline talent competition is back at the Joanna Ramsey Theatre located inside Westminster High School (WHS) for another series of dazzling performances. Click here to view the event flyer that was designed by WHS student, Kong shia (Samuel) Lor. Students from all grade levels will sing, dance and show off a myriad of talents to a panel of celebrity judges that will choose one winner from each category: Elementary, Middle and High School, and one overall winner. The show begins at 7 p.m. on April 29 with tickets available for purchase at the door for $5.00. All winners from the event will be announced at the end of the night. If you are not able to attend, or have loved ones who would like to watch the event from home, click here to watch the live stream on the night of the event. On April 3, over 60 acts came to WHS to audition for the talent competition, below is the finalist list for Westy Idol!